In news that seems at least a bit surprising at first, evidently Hong Kong predicts that they’ll need many new expat workers in the coming 6 years. Better still, at least for the right people, these will be the highly skilled and highly paid jobs that seem to be on the edge in so many other places. According to a recent article in the Telegraph, the government of Hong Kong is predicting a shortfall of 14,000 workers by 2018 based on today’s growth rates. They blame it on the aging population and low birth rates, which do make sense, but to me it’s at least a little surprising that they don’t seem to think that Chinese people will be able to fill these positions. Much more so than Singapore or Tokyo, Hong Kong has had two distinct classes for centuries now. There is the educated (mostly English speaking) class of business people, and the much larger (and mostly Cantonese speaking) group who hold down most mid level and lower paid jobs. According to the article, the group moving into the Cantonese-speaking group is still very large, while the group moving into the higher paying jobs is too small. They also say that it’s competition from cities like Singapore, Tokyo, and Shanghai that means that many workers prefer to go to those other cities where conditions are often better or cheaper. Considering the number of Chinese nationals in US colleges right now, I would think that they’d have little trouble finding graduates who would love to move to Hong Kong. However, it could be that the majority of those students are studying science, , technology, engineering, and mathematics (STEM) subjects, so not enough are going into finance, where most of the opening in Hong Kong will be. Or maybe those who are in finance don’t want to move to Hong Kong? For those who are interested in finance or other white-collar professions it seems the prospects in Hong Kong are quite good, obviously. But there is a downside in that many things in Hong Kong are either of poor quality or they are incredibly expensive. 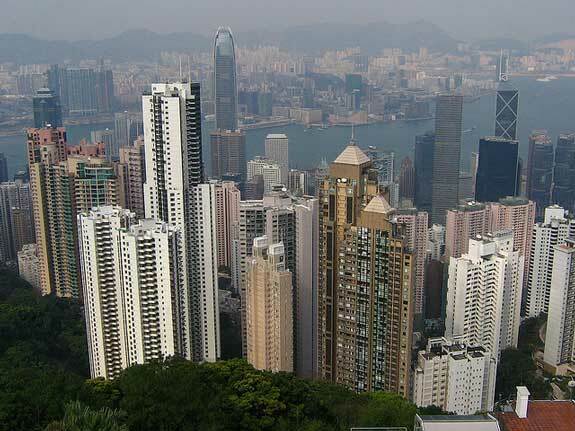 For example, if you want to live in a skyscaper on Hong Kong Island itself it will cost as much as in New York City or Tokyo, and spending less means either a long commute or living in accommodation that seems “Second World.” This is a problem in New York City as well, but at least the jobs there have the potential to pay a lot more. So for those who are looking to relocate to another destination for job prospects, it sounds like Hong Kong is going to have some good opportunities in the coming years, so they will also likely have to offer some good salaries and benefit packages to lure the right people. “Many things in Hong Kong are of poor quality”?!? Sorry but . . . as in most places around the world, you pretty much get what you pay for here. Pay $30 for a shirt, get a cheap shirt. Pay $300 for a shirt, get a better shirt. And “conditions are better in Singapore, Tokyo and Shanghai”? What ‘conditions’, exactly, are you talking about? Thanks for the comments and questions. Regarding “poor quality” I meant that Hong Kong is famous for its knock-offs and poorly-made goods, at least to a degree larger than other financial centers. Thanks for the response Tom. I do appreciate it. First, I should mention that one of the reasons why I commented here is that I *have* actually lived in Singapore as well as in Shanghai. And I certainly wouldn’t say that they’re ‘better’ than HK in the way that you stated. Cheaper? Maybe. But expat salaries are generally quite high here and taxes are low. At the end of the day, my take-home is a lot higher here than it was anywhere else I have ever lived (and worked the same job) anywhere in the world (incl. the Middle East). About the ‘poor quality’ goods. Yes, of course you get lots of knock-offs in HK but I’m sure you know that they all come from the mainland. You get far more of those ‘poor quality’ goods over the border . . . and that includes in Shanghai. Plus, as in any big city, you can, of course, get average-quality-and-average-priced goods as well as top-quality-and-expensive goods in HK. So I certainly wouldn’t say that *most* things are either ‘of poor quality or very expensive’. Many things in London, for example, are a heck of a lot more expensive than in HK! Now, the housing. I consider myself fairly middle class (i.e. uni educated, professional career, decent salary — but, alas, not a banking salary) and I, as well as everyone I know and work with, *do* live in the ‘modern apartment towers’ you mention, in clean neighbourhoods that are about 97% Chinese. In other words, these are not ‘expat areas’ and they’re still . . . clean. Maybe I misunderstood, but your article seems to be saying that there will be a need for more expats in HK in future due to more job openings, mainly in banking and finance. These expats will be living in similar situations to mine, of course, and probably even better. So why would you suggest that these people prefer to go to Shanghai, Tokyo and Singapore because ‘conditions are better’? I’m not offended by your comments, Tom. I just think you have generalised too much. Especially as, in another article on your site, according to a Daily Telegraph survey, Hong Kong takes the #1 spot for top places to live in the world this year! Okay, yes, it’s ‘just’ a reader survey of 1500 participants, and I do agree that the places were, oddly, all over the map. P.S. Just want to add that I know from experience what hard work it is and how much time it takes to build and run a website as well as interact with your readership . . . so hats off to you. You make some great points, and I thank you for commenting, and for keeping a very civil tone when disagreeing. In some cases maybe it’s that these cities have reputations that they don’t deserve (anymore), and in other cases it’s just that people have different impressions of the cities they spend time in. You are probably right that I generalize too much. In my defense, some of that is because it takes way too many extra words to constantly mention that there are exceptions in this case and in that case, but other times the generalizing is just trying to reach a conclusion too soon. And there are times when I’m wrong, for sure. I have good friends who live in Hong Kong and they also assure me that my own experiences there were probably more negative than the norm. Of course, there are also things about Hong Kong that are far better than in Singapore or Tokyo and such. About the generalisations in the article . . . fair enough. I get that. I think you really hit the nail on the head, though, when you said that some places still have reputations that they no longer deserve. Take fake goods, for example. I first came to HK before the Handover (haven’t been here the whole time though — have moved a lot). Knock-offs were everywhere and everyone knew it. The police have really cracked down on this scene and many vendors just don’t want to take the risk anymore. Yes, of course you can still find fakes but there’s far, far less of all that than there used to be and certain items are almost impossible to track down. Still, it seems that many tourists equate HK with cheap, fake goods. Believe me, it’s not the knock-off ‘shopping mecca’ it used to be! Anyway, to sum up . . . I do think that Hong Kong has its good side, just as any other city — along with its not-so-good side, just as any other city. I think that how how you feel about any place (be it HK, Shanghai, Singapore or wherever) ultimately comes down to your own personal experiences there.